Voted #6 Cigar Aficionado's Top 25 cigars of 2013! The Fuente family took an extraordinary long period of time to determine which of their rare vintage tobaccos should be blended to produce the now internationally famed Don Carlos cigars. In every way possible, Carlos Fuente Sr. strived to attain the ultimate in rich flavor, flawless wrapper color and superior construction in each and every Don Carlos cigar. Today, cigar connoisseurs from all over the world, as well as thousands of serious American cigar smokers have acknowledged that Don Carlos is indeed outstanding and worthy of the title, "Pride of the Fuente Family". Best Cigar Prices had, well, the best cigar prices! Had to pick up a few boxes. I've been smoking AF for the last 14 years and never had a bad one. Excellent cigar for the price. My son gave me two of the Don Carlos #2 for Christmas and I was absolutely bowled over. I have been a fan of Arturo Fuente for years, but had never had this cigar. I'm hooked now! This an incredible cigar in every aspect.They are very flavorful, smooth and burn evenly. I love the Don Carlos #2. It’s a great smoke and not to expensive. 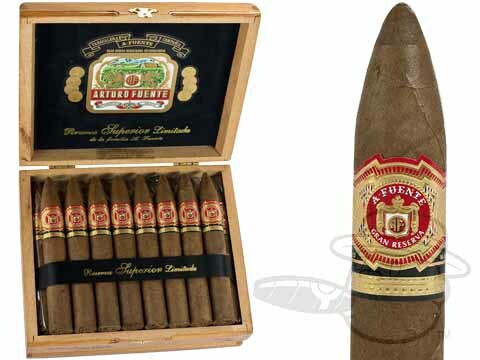 Arturo Fuente Don Carlos #2 is rated 3.5 out of 5 based on 6 customer ratings.